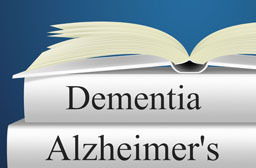 Alzheimer's and Dementia is a general heading that includes all types of Dementia, including; Alzheimer's type Dementia, Pic's Type Dementia, Dementia with lewey bodies, Alcohol Dementia, and Parkinson-Dementia and what might be the most common type of Dementia, Vascular Dementia which is from TIA's or Strokes. The fact is they all share the same clinical signs and symptoms of cognitive impairment; memory loss, paranoia, delusions and or lack of insight and judgment. 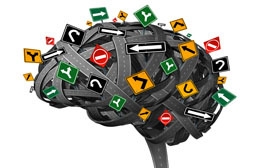 There are some pathologic differences in how the brain is affected but in most cases, the cause is multi factorial with many types of brain pathology occurring as people age. Young people tend to have single type pathology but in general, seniors tend to have a mixed picture which makes any one label-less reliable. Some say Alzheimer’s type Dementia with beta amyloid, along with plaques and tangles is the most common form of Dementia. It is interesting to note that much of that data was acquired before CT scans and MRI's of the head were available. If this advanced technology had been available the number of cases with vascular dementia or small strokes would have undoubtedly increased. If you were to include UBOs (unidentified bright objects) as the defining characteristic then most “normal” people would be considered to have dementia, since many normal people have UBO's on MRI's if you look for them. The diagnosis and label is interesting from a research stand point but the focus should be on the best therapy for the symptoms of any Dementia label. The best therapy is having a staff or care team that provides continuity of care and has well developed social and interpersonal skills to know how to provide the most effective care to a person with dementia as well as their family and friends. 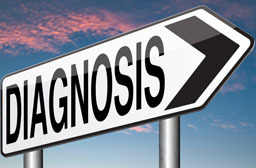 Many do not know that an Alzheimer’s Diagnosis is a clinical one and that there is no one test for it. The standard way Alzheimer’s/Dementia is diagnosed is by the doctor noting changes in many areas over time and then categorizing the changes as possible, probable or definite Alzheimer’s. The only way for conclusive diagnosis requires a brain biopsy which rarely occurs while a person is alive, so doctors are left with a suggestion that is it Alzheimer-type Dementia. 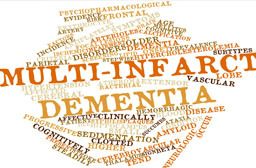 Moreover, the criteria includes that the doctor rules out everything else that might contribute to the diagnosis which makes it very difficult practically to diagnosis Senile Dementia of the Alzheimer’s Type ( SDAT). Most, if not all seniors will have some vascular narrowing, reduced vascular circulation in legs and likely the brain, related neuropathic findings including wide based gait, mild tremor, and other abnormal or reduced reflexes. Because depression, dysthymia or reduced mood are common in a group of people who are seeing their cognitive, physical and social choices reduced over time that also is a co morbid aspect one needs to consider before making the diagnosis of SDAT. Additionally, while other late onset mental illness labels are less likely, one can also raises those as possible co morbid factors. The focus should be on the best combination of behavior and medication therapy to address the symptoms of any Dementia label. The best therapy is having a staff or care team that provides continuity of care, has well developed social/interpersonal skills and works as a team to provide the most effective care to a person with Dementia or Alzheimer's as the disease progresses and care needs increase. One should consider including the extended social system of family and friends when providing care/treatment, to improve the behavioral response the patient experiences. Visitors are one of the best therapies for any one with chronic illness including those with Dementia. 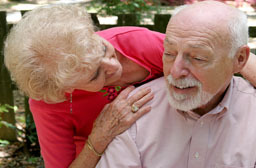 Dementia is a much more general label and includes difficulty with thoughts, memory, and those issues resulting in physical and cognitive difficulties that affect actives of daily living (ADL’s) and one’s ability to interact with others. Find the most complete team, with the most continuity of care in order to save yourself time and money and get the best care possible. While many patients will require some pills or medicines to treat the symptoms of Alzheimer's, the best and most effective Alzheimer's Treatment is behavioral. 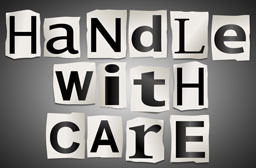 The staff you hire or the facility hires for your care will be the ones actually providing much of the therapy. 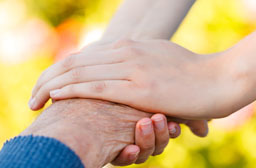 How they approach and interact with each patient or resident with Dementia, Alzheimer's or Memory Care needs is key to getting the best outcome and cooperation from the Alzheimer patient. As many know, there can be bizarre behaviors that are associated with the diagnosis of Alzheimer's, including levels of paranoia, lack of insight to what they can do and need. For example most will think they can live alone, drive, shop and manage all of their affairs when in fact they can't write a check or tell you how they would get to the store, use a shopping list and then bring the supplies home. Their Alzheimer's causes them to have lack of insight and poor judgment which leads to conflict in their minds. This causes them to get agitated or angry when you try to explain to them why their understanding might not be correct. Effective treatment is based on consistent care by a staff with good communication and interpersonal skills. That care starts from the top down with a doctor, administrator and staff who are aware of all the medications and behavioral therapies that are being tried and then discontinued if they are not effective. Finding the medications that are most effective requires trial and error. In many cases the use of medications improves the patient’s ability to interact with caregivers and family thereby improving quality of life. The effective use of medications rquires the doctor and staff to have frequent communication and reports about how behaviors have improved, worsened or styed the same on or off any medication. Frequent discussions between the caregivers and family, who interact with the patient on a daily basis and the doctor are key to adjusting the medication and developing the best balance between behavior therapy and medication. This communication is a part of what is called Continuity of Care. Unfortunately, in today's health system patient information is largely obtained from a patient's chart or notes on a computer, which is a much less effective way to get a clear picture of a patient’s actual clinical status. Reading from a chart or notes does not provide enough information and can't describe, question and/or clarify what any one person meant or quantify how much agitation, paranoia a patient may be displaying. Only through ongoing verbal communication with the entire team and through physical exam can a complete accurate assessment be made. Behavioral therapy is a great benefit to patients and many recommend it as treatment but it should be noted that it takes a lot of time and continuity care to provide effective behavior therapy. Many care settings do not have enough, consistent, properly trained staff and do not have adequate communication with the doctor to get maximum benefit from the wide range of behavioral therapies. Some facilities may say they can provide more staff or staff time but at an increasingly high cost or on a la cart basis and those services are likely to lack the consistency of the same caregivers and continuity of care. It is difficult for many caregivers or even family members to understand that you should agree with a person with paranoid or irrational ideas and not confront them. Sit with them and use distraction or re direction to help the delusion or incorrect idea pass. The ability to do this is a skill which takes time and patience to develop. In many Institutions and Care Facilities the value of these skills seems to be unknown, discounted or undervalued because the systems are designed like an assembly line, with minimal staff to assist with the basic physical tasks. Meeting and knowing the Senior Care Team that will be providing the care and service is imperative. Be sure to meet each caregiver and administrator before you choose any expensive Dementia / Memory Care Setting to get the best value for your money. 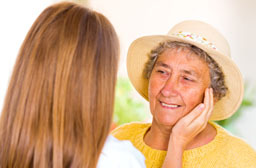 Alzheimer's, Dementia and Memory Care are generally more expensive than non- Alzheimer's care. Most seniors will have medical, physical and cognitive care needs. The cost for an Assisted Living Alzheimer's/ Memory care unit can be $4,000-$8000 per month. Residential Care Homes like Tender Loving Care Senior Residence are competitively priced with those settings. The frequent changes to management, staff, and doctors that often occur in in senior care settings can have a negative impact on the Alzheimer patient and is something to consider when choosing an Alzheimer Care setting. 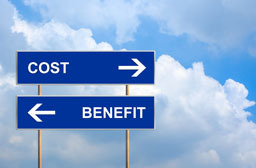 We would suggest you compare the dollar cost and also consider the intrinsic value of how much continuity of care you get for the price, by meeting the entire care team including; the administrator, management, doctors, nurses and direct care workers before choosing any expensive Alzheimer Care Setting.